One of the primary ways to improve your home's energy efficiency is to repair or replace your windows, however, it can be costly and it may not even aesthetically be what you want. Well, there is now a new option for homeowners to consider. An alternative to double-hung replacement windows is now interior storm windows. 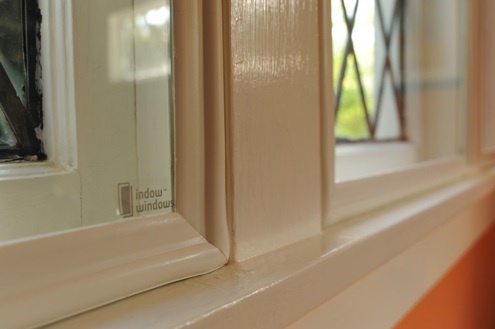 According to BobVila.com, Indow Windows, a Portland, OR -based company began manufacturing them in 2010. The windows "are constructed from sheets of light, strong acrylic glazing, which is edged with the company’s patent-pending compression tubing. The products press into place on the inside of a window frame and provide a tight seal against cold window drafts without the use of nails, screws, or adhesives." According to an independent test study by Portland State University, these windows "almost double the R-value of a single-pane window." In addition, they'll also save you on installation. Typical double-hung replacements cost between $500 a $900; a comparable insert from Indow Windows costs about $250. Exterior Specialties of PA is here to help with all of your Pennsylvania window installation, window repair, window inspection and window replacement needs. Call us today at 215-453-9180 for your FREE estimate!